Robert M Fulton lived from 13 March 1816 to 17 Jul 1897. He was born in Carleton County, New Brunswick, the son of Samuel Fulton and Margaret Lovely, both of Nova Scotia. Robert married Martha Jones on 01 Apr 1841 in Carleton County New Brunswick. James W. Fulton m. Mary Ann York. Ephraim Jones Fulton m. Louisa Webster m. 2 Annie. Moved to Minnesota. In the Summer of 1866, R M Fulton purchased land from Jeremiah Trueworth with sons James W, Ephraim J and Aaron J. in Aroostook County Maine and moved from Greenfield in 1868. In 25 October 1886 he traveled to Houlton to file intentions to become a citizen of the United States. This entire blogging of the diary and photos is really wonderful. My husband is a Hawksley and descended from Robert Fulton as well (through daughter, Stella Fulton). The diary really gives a wonderful idea of life in those times and makes an ancestor not just an abstract idea, but a real human being. Thank you. My husband & I enjoyed reading the Fulton family information and diary. We were esp. delighted to discover Mr. Fulton’s frequent references to the Arthur Hutchinson family, apparently his neighbors, since my husband is a direct descendant of Arthur (& wife Louise, though Mr. F. referred to her just as “Mrs. Hutchinson”), his great-grandparents. Particularly interesting was his mention of several of their children ( thus my husband’s great-aunts, uncles, and grandfather George), including giving the dates of two of his great-aunts’ marriages, information we have never seen. This was a treasure trove…thank you! Am wondering if the W.H.Boone was my great-grandfather?My great-grandmother(his wife)was Ida(Robertson)Boone.My grandmother(Grace Boone) was their youngest child.They lived in Rowena,Victoria county,New Brunswick. Greetings! I am also a great, great grandchild of Robert M. Fulton! My mother is Dorothy Pittenger Tull, daughter of Phoebe Bell Pittenger. I love the photo you have of Phoebe! I have never seen it before. It brought tears to my eyes. She was such a lovely woman, we were very close. I am delighted to, finally, find this missing piece of the Fulton bloodline. 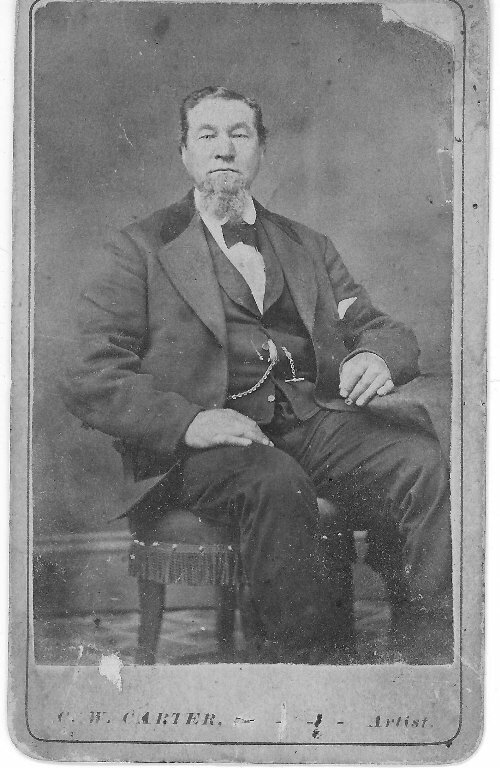 Robert Murphy is my great, great grandfather. To see the photos of the family and the day to day diary he left is fascinating beyond words. I am a great grand son of Robert M. and I was very excited when my nephew Eirik L. Fulton called me last night (2/25/09) with this wonderful information. I have been searching for information on my paternal side of the family on and off for over 10 years. However, I was unable to go further than my grand-father George W. Fulton due to lack of information. PS, the photos are great, they almost bring these ancestors to life. The photos mentioned in the above e-mails were in a family album which my mother’s sister, Edythe Blackden Hawksley Harris, had passed down through her family. A grandson of Edythe lives near us in MI and is the owner of the album. Many years ago I met a woman at our church in MI whose husband was in the military. While visiting in the nursery when our children were small, we discovered we were distant cousins. Her grandfather was Roy Bell from Mars Hill, ME and my mother Corene Ada Blackden Flewelling, were first cousins and I grew up in Easton, ME. I am very interested in this site. I may have some additional information on the “Jones” side of this. Hopefully we can share some of our info.